I try hard to avoid the ‘hidden gem’ golfing cliché. 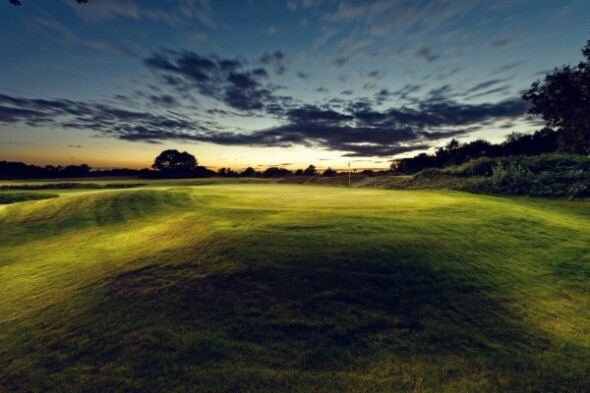 For starters, there will be countless golfers that are already well aware of the delights on offer at Piltdown Golf Club in East Sussex, and, no doubt, the lovely courses at nearby Crowborough Beacon and Royal Ashdown Forest that make up this glorious triumvirate of heathland classics. I will concede that there are better known courses around the country, but that shouldn’t (and doesn’t) detract from Piltdown’s pleasures. I’d argue that it adds to them, in fact. Here, you feel like you’re stealing something of a march on others as you pause to take in the general quality and ambience of a very lovely golf course. Quiet, scenic, natural, and with an old fashioned charm; these are just some of the virtues that characterise Piltdown. Located near Uckfield in East Sussex, Piltdown is little more than 30 minutes from the southern section of the M25 and less still from Gatwick Airport. As you make your way south through Ashdown Forest, the scenery provides a hint of what’s to come, where heather and gorse are the predominant features across the course. With not a single bunker in sight, there’s a uncommonly natural feel to Piltdown that’s a true joy. The heather has been deliberately left to shape the flow of the golf course and, with the obvious exception of the neatly trimmed fairways and greens, the landscape feels, you can’t help thinking, much as it would have back in 1904 when George Varnum (a local farmer) created the first 10 holes. A few years later, that maestro of architects, J.H. Taylor, was then to complete the layout. Piltdown is a course that adds considerable weight to the argument that, even in today’s game, length isn’t a prerequisite for great golfing. Here you’ll find an old-fashioned yardage (just over 6,000 yards), but the course plays considerably longer than expected thanks to the ingenuity of its design – something that always stands the test of time. With just one par 5 and several modest-length par 3 holes, the remainder of holes leave a good number of strong approach shots, so the yardage somewhat belies the challenge. In terms of the attractions, the par 3 holes leave a lasting impression. There’s the extremely intimidating fourth, with its minuscule target and carry over an expanse of heather, and a number of other eye-catching short holes dotted at regular intervals. But the highlights aside, it’s the overall ambience that whisks you away to a gentler time. The course is a wonderful wash of purple-blooming heather and at moments opens up to present a wild landscape that will make you think of the great moors or walks on sprawling heathland commons. The idyllic Sussex cottages sprinkled around the outskirts of the course don’t go unnoticed, either, and it all adds up to a very enjoyable golfing experience. Early in the round comes the only par 5 on the course and with it the hope of a birdie. But while the 500 yards aren’t out of range in two shorts for the big hitter, even they will need a very solid tee shot to give up any chance of getting home in two. You are aided by a relatively generous fairway at the landing point, but from here the fairway steers round gently to the right before narrowing on approach to the green. One thing I can say with certainty is that, birdie or not, playing the par 5 your eyes will be drawn to Piltdown Pond that sits out of range on the left hand side. It may be out of range here, but it won’t be very shortly. The tee shot at the dog-leg right par 4 third hole that follows brings the water very much into play, and even if you can negotiate a drive to the corner, the uphill second is still a tough shot. Be brave from the tee and it’s made easier but be careful not to bite off more of the corner than you can chew! The first par 3 that follows is unquestionably the hardest on the course. From the elevated tee, the small and distant green sits in front of Piltdown Pond and is guarded by huge strips of heather laid out in front of you. With a demanding carry of around 200 yards, no doubt some players are forced into the rather humbling, if not humiliating, necessity of laying up on a par 3. It’s a very fine and memorable hole. Having just crossed back over the Shortbridge Road, there’s a run of three very different par 4s to test your game. The 12th is short, at just over 300 yards, but with a blanket of heather across the fairway just shy of the green, it forces a full shot into the green with your second, rather than a simple pitch. Take the gentle uphill nature of the hole into account, along with the small green, and it’s a great little hole. The 13th is excellent, too. A semi-blind drive to a cambering fairway, the hole dog-legs sharply left but is guarded by more heather that’s clearly designed to catch the greedy golfer hoping to cut the corner. The approach must also be pinpoint, with swales protecting the front right entrance, and further banks of heather defending the left side. Perhaps more gentle, and certainly wider in appearance, the 14th hole plays long and subtly uphill as it curves round to the right. Humps of heather and rough create a meandering fairway just as you approach the green, whilst the putting surface itself has a marked slope from left to right. It’s a strong hole to complete a fine run of par 4s. Replete with heather and charm, Piltdown Golf Club enjoys an idyllic spot in the Sussex countryside and presents a never-out-of-date version of this wonderful old game. Here, you’re reminded of the real essence of the game, playing a course that has maintained its design and, no doubt, the golfing philosophy of generations of club members. No ‘championship’ yardages required here, thank you, or unnecessary ‘modern’ hazards. And what a joy that is. Some courses are best left alone, testament to the genius of their designers and the pleasures of their natural landscape, and Piltdown is certainly one of them. Having said this, that’s not to say that Piltdown has been neglected the course in any way. Far from it. Over the past couple of years, the club has invested a very sizeable £400,000 in the reconstruction of 14 greens in an effort to defeat the toll taken by some very wet winters. The members are undoubtedly looking forward to reaping the benefits of some quality putting surfaces once again. Once these reworked greens have fully settled in, I think it’s a given that Piltdown will be rightly recognised as one of the very best courses in Sussex, and indeed the South East. With Royal Ashdown Forest and Crowborough Beacon helping to make this corner of the country something of a golfing destination, I think we can safely save the ‘hidden gem’ cliché for another time. It’s not a bad spot to enjoy a couple ales after your round either. Your comments are a true and accurate account of this hidden beauty! I am not a member but have had the privilege to try and play this outstanding challenge of a course. Such a pity you have now let everyone into the secret!!! !